In anticipation of the boating season ahead, Cypress Cay has published its 2018 Pontoon Catalog. The 36-page brochure showcases Cypress Cay's four elegant pontoon models -- Cayman, Cozumel, Cabana, and Seabreeze -- and highlights updated performance packages to suit any style of boater. 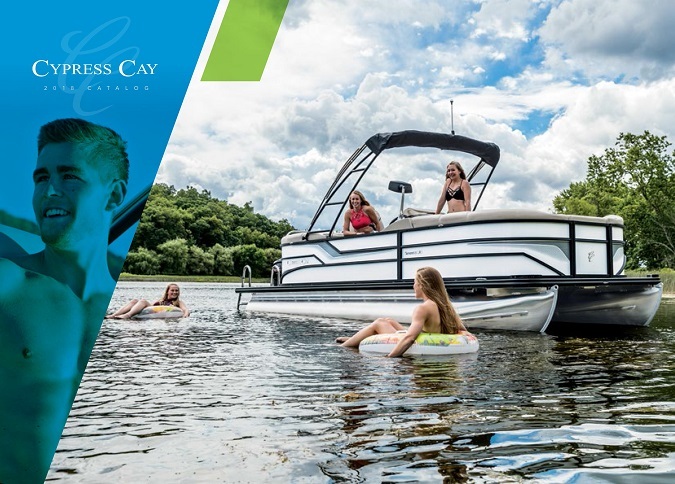 Download or order your very own 2018 Cypress Cay Pontoons Catalog today. Cypress Cay is known for high-quality pontoon boats that feature convenience, unsurpassed comfort, and superior construction. It's part of the Brunswick Corporation, the market leader in the marine industry.